Companies need experienced advisors who can address their specific intellectual property concerns. At the heart of most IP needs is the desire to commercialize and protect valuable intellectual property assets. 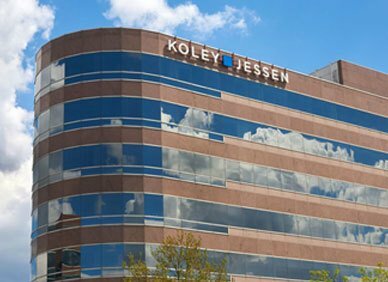 Koley Jessen's team of IP attorneys provides strategic-focused counsel for the launching and managing of these assets and brands. We help clients understand risks, manage brands, and defend products in an increasingly complex environment. Key to our approach to providing services is continual client education. We tell our clients not only what we are going to do, but why we are doing it so they can make informed decisions along the way. We have forged relationships with patent law firms, and work collaboratively with them to offer a seamless, integrated solution to clients who have both patent and non-patent related needs. We have relationships with intellectual property attorneys in almost every country in the world, which has enabled us to obtain intellectual property services for our clients on every continent, including such locations as diverse as Iraq, the Russian Federation, South Africa, Australia, Brazil, China and Dubai. We employ a team of experienced paralegals who work all day, every day with our foreign associates, the United States Patent and Trademark Office, the United States Copyright Office and Secretary of State Offices in various states to file, prosecute, and transfer trademark and copyright applications and registrations. Trademarks: We offer both domestic and international trademark services including trademark searches, registrations and trademark maintenance. Copyright: We counsel clients as to their copyright interests in works of authorship, and their ability to protect and enforce their rights in such works. Due Diligence in Business Transactions: We are often engaged by transactional attorneys within or outside Koley Jessen to conduct intellectual property due diligence. Commercialization of Intellectual Property: We routinely prepare, review and/or negotiate documents and agreements such as trademark, patent and copyright licenses; and manufacturing, supply, distribution, sales representative, software development, web hosting and nondisclosure agreements. Dispute Resolution and litigation: When intellectual property disputes arise, we provide assistance ranging from preparing or responding to “cease and desist” letters; prosecuting or defending cases in federal or state court; and preparing and negotiating settlement agreements. Have There Been Unauthorized Changes to Your Trademark Portfolio? Every State Now Has a Data Breach Notification Law; Is Your Business Ready to Comply? Software Acquisition and Support: Do You Know What You are Buying?